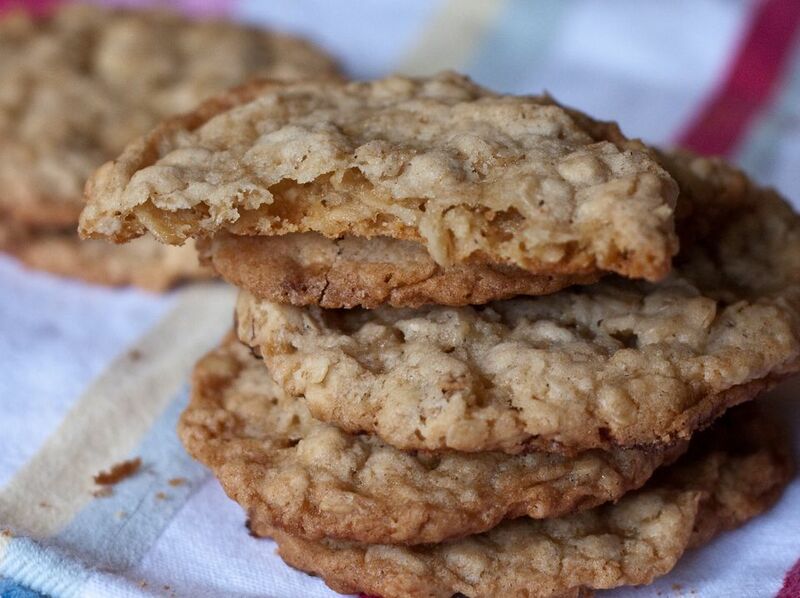 The juicy sweetness of pineapple might not immediately come to mind when you think of oatmeal cookies, but this creative pairing results in a super moist cookie with assertive tropical flavor. Not quite the oatmeal cookie of childhood, it still combines the flavor of molasses from the brown sugar with nutty oats and cinnamon. But it's the unexpected burst of pineapple that might stir those sweet memories of summer days in the sand. Cream shortening and sugars together in a large mixing bowl until light and fluffy. Beat in egg and pineapple. Whisk the remaining ingredient together in a medium bowl. Add dry ingredients to wet ingredients and stir to thoroughly combine. Drop by rounded teaspoonfuls onto ungreased baking sheets. Bake for 15 to 20 minutes or until cookies turns golden on the edges. Cool on pan for 5 to 10 minutes, then transfer cookies to a wire rack and cool completely. You can use either light or dark brown sugar in this recipe, but dark brown sugar will result in a more complex flavor, with a suggestion of caramel or toffee. To increase the tropical taste, substitute 1/2 cup shredded coconut, toasted, for the nuts. To toast the coconut, spread it in a single layer in a large dry skillet over medium heat and cook, stirring frequently until it turns golden brown. You can also toast coconut in the microwave on high in 30-second spurts, stirring between each until it turns the right shade of brown. Turn pineapple upside down cake into cookies by substituting 1/2 cup well-drained and coarsely chopped maraschino cherries in place of the nuts.